I watched the 2016 Oscars ceremony from a hotel room in the mid-west, halfway through the cross-country trip from Pennsylvania to California. I was on an adventure – taking a leap of faith and pursuing a career as a TV writer. As my father/frequent driver/guru slept during the awards I sat on the edge of my temporary bed, my eyes glued to the screen and my fingers dancing on social media apps. I cheered, booed, and celebrated wins (quietly as not to wake my elder) and fell asleep as the credits rolled. My heart was full of joy, my spirit filled with purpose, and my mind brimmed with inspiration. The joy, purpose, and inspiration weren’t enough to turn the dream into a goal. Ten weeks into my CA adventure I made the life-changing decision to return to the east coast. I failed – that’s the message that I’ve told myself during the eight months since my return to PA. Though friends and family use words like brave and inspirational, I thank them but disagree. The memories of my time in Hollywood fill my soul with pride yet also cut my self-confidence in half. I miss the artistic energy, the scenic views of the Pacific coast, and even the healthier lifestyle. I miss taking walks with my sister and her family, playing board games with my nephews, and attending baseball practices/games. I miss attending events like the LA Times Festival of Books and WonderCon – listening to panels varying in topic from Young Adult Fantasy and TV marketing. I miss the beautiful weather, navigating LA traffic with ease, walking around Hollywood & Highland, waiting along the sidelines during red carpet premieres – with pen and paper to remember it all. What don’t I miss? The fear of failure success, applying to jobs that would require dedication and commitment for the long-term goal, and the dreaded self trio: doubt, confidence, and esteem. I had to ask myself if I wanted the ultimate goal of TV writer badly enough to work my way there over the course of five to ten years. Could I settle down in Los Angeles – away from most of my family and friends? What if I achieved career satisfaction or even financial success? Would all my faults and flaws be food for fodder? Could I handle achieving my personal and professional goals only to have them challenged, threatened, or tainted? Wouldn’t that destroy me more – to reach that level of fulfillment and then lose it? So I didn’t try, didn’t give it my all. I wasn’t brave, inspirational, or determined. I focused on spending time with the CA family and taking in the sights of Hollywood as though an outsider though I yearned to be an insider. I reached a point where all the inactions and non job searching forced me to make a decision regarding the next step in my life’s journey. Do I stay and put all my energy into achieving my entertainment dreams or go back east and pursue publication as a YA (Young Adult) author? I chose the latter, convincing myself that I wasn’t running away so much as being realistic. My father accompanied me on the drive back east, rain greeting us each of the four days of travel. I stared out of the window, saddened and disappointed in myself but longing for home so that I could pretend I was brave and independent when the actual lesson from the CA adventure revealed the stark reality: I’d failed. I’d given up. I allowed fear to color my decisions. Three weeks after settling back at “home”, my older sister (one in PA) suddenly passed away. As I dealt with the stages of loss, I also found some comfort in knowing that I was there in her final twelve hours. I told myself that I must have sensed a need to be in Pennsylvania and that that’s what prompted the end to the CA adventure. I became immersed in fear and self-depreciation until the morning of November 9th. I realized that I could not sit idly by and let fear and dread consume me. I must stand up and keep moving forward. Life is a journey- my Hollywood adventure but one path along the way. I am currently writing a children’s book and reminding fear that I am strong. What about the TV writer dream? I feel immense regret over my inactions especially since talking about film, TV, and/or theatre still brightens my eyes and fills my soul with joy. I remain unsure of my personal and professional goals but I’m motivated to search them out. This February 26th, I’ll celebrate the best of 2016 film from a comfy couch and in the company of friends and family. Will I blog about it afterwards? Perhaps…but I’ll enjoy the show nonetheless. Today marks the start of Golden Globes weekend and though I’d much rather be in Hollywood interviewing artists on the red carpet, I’m still excited for the telecast regardless of my location. Granted, I don’t watch any of the nominated TV shows nor have I seen any of the film nominees, but this is the time when I decide which ones interest me enough to spend my time or money. I originally planned to host a viewing party, as I’ve done in years past. However, this year’s viewing will be a low-key event involving my couch and some themed desserts. As I look ahead to Sunday’s telecast, I included some of my earlier blog entries regarding award shows and why they fascinate me so. ABC’s primetime drama series, REVENGE, will end its run May 10th when the fourth season finale equates to the series finale. Revengers around the world will miss this beloved show, and I proudly include myself among them. For four years, REVENGE was the one show that I could NOT miss watching each week. I looked forward to finding out what would happen next and anticipated episodes full of twists and turns. 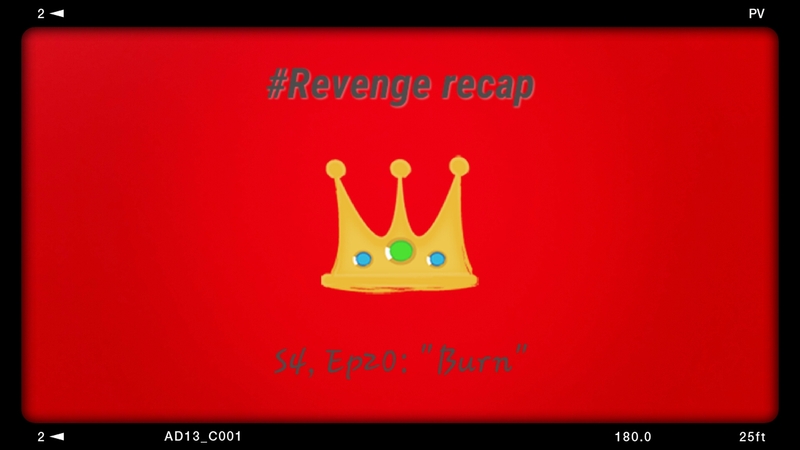 My fellow REVENGE fans will no doubt find ways to say “Thank You” to the cast and crew through photo collages, video montages, memes, sketches, playlists and more – I decided to use my love of the written word to convey my thanks for an amazing four years of must-watch television! Mike Kelley, you created a TV show that became beloved by fans worldwide. You gave us characters that we rooted for and against, sometimes simultaneously. Thank you for bringing something new to the canvas filled with shows about doctors, lawyers, and cops. Sunil Nayar, thank you for guiding us through the past two seasons, and for starting season 3 with a bang! Maybe it’s due to my long-standing belief that music plays an important role in art, but Fil Eisler’s original music caught my attention time and again. His exquisite work during pivotal moments (i.e. Daniel’s death and Victoria’s final act) accentuated the emotion in the scene and the aftereffect each would have on not only the other characters, but the show overall. Jill O’Hanneson (style guru and costume maven) – you are a genius in your craft. You didn’t just dress the actors; you outfitted the world in which they lived. I frequently caught myself saying, “I love that dress!” and “Where do they come up with Nolan’s outfits; that’s fantastic.” From Emily’s gorgeous wedding dress to Victoria’s fiery red gown, the pieces are embedded in our memory. To all the directors, DP’s, producers, production assistants, hair, makeup, story editors, script supervisors – your work behind the scenes did not go unnoticed. The show could not have been made without you!!!! Dear Emily, Gabriel, Nick, Josh, Madeleine, Henry, Christa, Barry, Karine, Elena, Ashley, Conner, James, Margarita, and the rest of the REVENGE cast – What can I “say” about this tremendous acting ensemble that you’ve not already heard? The greatest compliment I can bestow upon such a talented group of actors is this: you brought to life characters that will live on long after the finale. While you excelled in your craft on an individual level, your talent shined through your on-screen interaction. We loved watching the brother/sister relationship develop between Emily and Nolan throughout the seasons – their goodbye in Season 3 still moves me. Regardless of what romantic pairing the fans “shipped”, each of the men in Emily’s life had issues, complexities, and drama all their own. As you keep moving forward toward the next journey in your career, I wish you continued success – on both a professional and personal level! 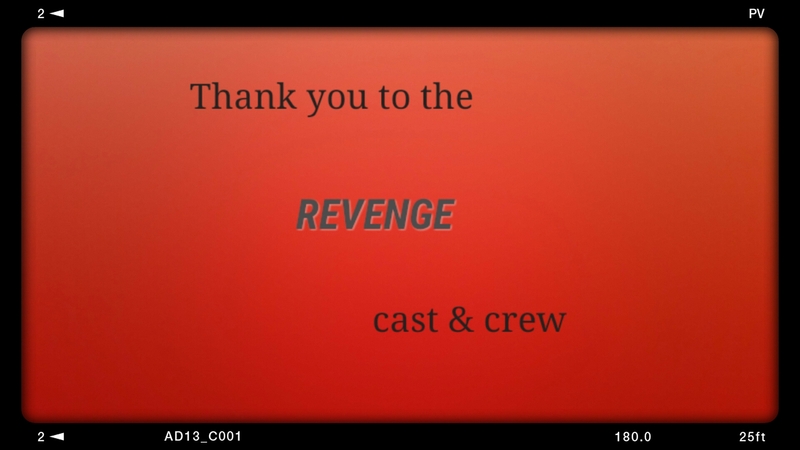 Thank you, thank you, thank you to everyone involved with bringing REVENGE to the small screen for the past four years. While I don’t presume to “speak” for the entire fandom, I think it’s safe to say that we’ll support all the projects that this REVENGE team pursues in the future. Whether Agent 13 joins her S.H.I.E.L.D counterparts or a Hamptonite conquers the Broadway stage, you better believe the Revengers will assemble! *DISCLAIMER: My opinions are just that…mine. No implied endorsement from anyone associated with this show is intended. I write characters better than I sketch them! DEDICATION: It takes a lot of hard work, time, energy, and talented artists (in front of and behind the camera) to bring a TV series to the screen each week. You only need read the end credits to see how many people are working together, united for a common goal. My passion and respect for the TV drama industry makes me a valuable asset to the team, whether you hire me to edit a script for consistency, answer telephones, or run errands for a producer. I seek to develop my craft and learn from those whose expertise shines in the work they create. COMPLEX CHARACTERS: The characters I create and those I root for on a dramatic series must have inner turmoil on some level. I strive to develop situations where the labels of “protagonist” and “antagonist” no longer apply. It is through conflict exploration both internal and external that the characters develop, thus adding depth and complexity to the entire canvas. DIALOGUE: When I start a new story, it’s the dialogue that moves it forward. I can write idea after idea about what’s going to happen, but once the characters start conversing, the story takes on a life all its own. 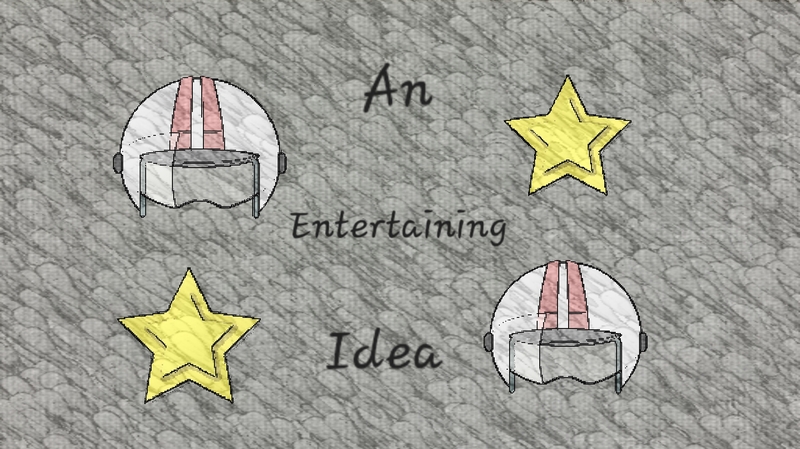 I find it not only exciting but creatively stimulating to create dialogue for each character that gives them a unique voice. TARGET MARKET: I’ve spent most of my adult life utilizing my skill sets in programs, workshops, or completed writings that target teenagers and young adults. With two decades of volunteer involvement in youth-oriented programs, I have a keen insight into their struggles, hopes, and goals. This understanding led me to write an 80,000 word Young Adult fantasy novel, which follows a young woman on her journey of individuality through family responsibility. GENEALOGY: I hated history, truly I did. However, when I realized that the ones who came before me experienced the same range of emotions (though the specifics differed) as I do, I saw them with renewed focus. We aren’t simply names and faces – we each have a story to tell. My ancestors are complex characters in their own life story, and through genealogy research, I help create the first draft. APPRECIATION: The profound respect, admiration, and appreciation I have for the TV drama industry continues to inspire me on a daily basis. I love watching behind-the-scenes videos, reading interviews from Executive Producers and Show Runners, and discussing the episodes with viewers who share in my excitement. I hold this industry in high regard while also being able to look at it objectively. I look forward to discussing my qualifications with you in greater detail. Please email me directly at kdeenywriter@yahoo.com. Season 3 of ABC’s Revenge started with a bang and a splash, keeping our interest the entire season through. So, it’s no surprise that the finale would not only match the opener but take it to the next level of anticipation and intrigue! David’s 9-year-old daughter Amanda was there the night her father was forced to the ground and taken into custody. Amanda Clarke, now grown, returns to the Hamptons as Emily Thorne, moving in next door to the Graysons. Her plan – seek revenge for those who framed her father. She married Conrad and Victoria’s son, Daniel, only to be intentionally shot by him on their wedding night (long story involving a fake pregnancy, alcohol, and a subplot about an ex-girlfriend). Along the way, Emily/Amanda was helped by a handsome trio – David’s protegé (Nolan Ross), another revenge-seeker due to the David Clarke set-up scheme (Aiden Mathis), and her childhood sweetheart who only learned of her true identity during last year’s jaw-dropping season finale (Jack Porter). WARNING: Spoiler alert! Spoiler alert! If you are not up to date on the last two episodes of Season 3, be forewarned that spoilers will follow. Proceed at your own entertainment “peril”! Television programs receive my high praise when they keep my interest each week. They hook me in with intriguing characters and surprising plot twists that ultimately create an added level of dimension to the story and the players. Revenge is one such television drama series. I’ve seen every episode from the pilot on through and look forward to seeing what happens next! The Golden Globes came and went. Neither did I watch them on television nor did I attend despite my written request a few weeks ago. I arranged to visit my sister and her family in Los Angeles once I found out the date of the Golden Globes. I figured I’d multi-task; spend time with family and check off “attend the Golden Globes” from my bucket list. After doing some research and realizing that tickets are not made available to the public I decided to step outside of my artistic box and hope that by just believing hard enough a door would open. In the meantime, I set my DVR at home to record…just in case. Ironically enough, despite my brother-in-law’s feverish attempts we were unable to watch the award show Sunday evening. By noon on Sunday I had accepted the reality that no one was going to knock on my sister’s door with a camera crew and announce, “Are you ready to go? We’ve got a team ready for hair and make-up. You didn’t bring a dress? That’s okay. We have a selection for you to choose from.” I suppose my life-long Cinderella fascination finally took shape. There was not to be a fairy godmother to whisk me off to the award show ball. No one to magically know how much I truly wished for my request to be granted. I put myself out there in a way I never have before and it’s mildly embarrassing and greatly frustrating that I allowed myself to rely so heavily on the power of positive thinking and the actions of others. The greatest lesson from this experience? To focus on my own creative pieces (whether it’s the YA fantasy novel that’s nearing completion or the screenplay that’s in progress) and less on those of others. To complete my own work, to the best of my ability, and know that when I do go to the Golden Globes it’ll be because I’m nominated! I’ve learned that you can’t assume that others know what you want. You have to ask. I’m asking. Can you send my sister and I to the Golden Globes this year? In a time when our country’s worried about issues of immediate significance like falling off a fiscal cliff, hurricanes and disease it’s understandable that this request is abnormal. 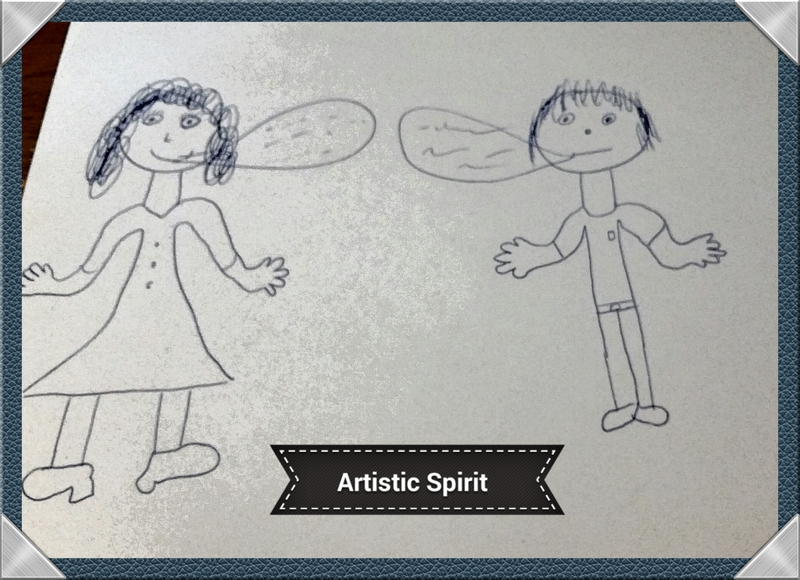 I stand behind the belief that the creative arts can heal. That they offer us the opportunity to reflect upon our own lives and perhaps re-examine our beliefs and/or choices. I celebrate the entertainment industry and all the hard work from those either in front of or behind the camera. I grew up thinking that my affection for the entertainment industry was an insignificant and frivolous hobby. One that wouldn’t lead to a proper destination for my focus and energy. Yet during times of immense personal struggle it was art that got me through. And I do not doubt that there are other young girls and boys out there who have a deep love for film, television, music or theatre but that they are told to put those interests secondary in their lives. It would be an incredible honor for me to have the opportunity to say “Thank You” to those who’ve brought these films and TV shows to fruition. To stand on the red carpet and ask Tom Hooper why he selected Les Miserables as the musical he wanted to adapt to the big screen. To congratulate Julian Fellowes on the success of Downton Abbey; a dramatic series that has depth, warmth and regality. To share in the excitement of Smash’s nomination as it’s well-deserved and hopefully the first of many accolades. When I’ve had the opportunity to meet actors, writers or other entertainment professionals I’ve chosen to use the chance to say “Thank You” and “Your work meant something to me.” To separate the performer from the character because in doing so you pay tribute to the passion of a fellow artist. If you are able to send my sister and I to the Golden Globes this January, whether as red carpet reporters or sitting in the bleachers, the experience is bound to prompt some interesting blog posts from this fan’s perspective. Thank you for your time and your consideration! Sports fans wear the jerseys of their favorite players, assemble fantasy leagues, and paint their faces to show their team pride. They can spout off trivia facts and engage in passionate “discussions” as to the success and failures of their hometown teams. A similar group of individuals exist in the entertainment industry. We can list off random facts about our favorite actor, actress, writer or director. We write letters of support or complaint to media outlets and/or the particular interested parties. And like our athletic counterparts, we have in-depth “discussions” about our favorite moments. Or more precise…we disagree about which character should be romantically paired with another. We look forward to our favorite TV shows as much as a football fan readies for Sunday night. While our sporting counterparts gather with friends and family to drink beer, eat wings, and scream at the referees, we take to the internet to re-hash the positives and negatives of the prior night’s episode. We watch the special features to learn about the casting process, the set design choices, and the adaptation from book/stage to screen. We read interviews from the screenwriter to gain insight into the finished work he/she created. We stand at the stage door after a theatrical performance just to get a picture, signature or to manage an “I loved it!” We find inspiration and motivation from those who’ve chosen the entertainment industry as their mode of creative expression. While some of us may yearn to one day play a role in front of or behind the camera, there are just as many who merely want to show their appreciation for a job well done. Who want to say “Thank You” for creating something that made a difference in their lives. For giving us an opportunity to look at our life from a different point of view. To pause and reflect upon the choices we’ve made and to perhaps reconsider a path we were headed towards. So while my friends and family may plan for the big play-off party I’ll be waiting with excitement for the upcoming entertainment award show season. May the best team win!